How to fix loose screws cause by stripped wood holes. I’m sure there’s a dirty joke in there somewhere. This morning I opened the closet door and the whole thing seem to fall apart. The screws on two of the hinges just fell out. Turns out that the wood holes were stripped and didn’t hold the screw anymore. So this is “How to fix loose screws caused by stripped wood holes“. This entire repair took a little more than 5 minutes, but you look like such a handy genius. Put a little glue on the end of a toothpick and stick it into the hole. Repeat until the hole is plugged. Just jam as many toothpicks into the hole as you can. Snap the toothpicks off in the hole. Mine didn’t come off perfectly clean, but I wasn’t worried because the hinge and screws would cover it. Wait a bit for the glue to set. Screw the screws back in. You’ll be able to do this easily by hand. 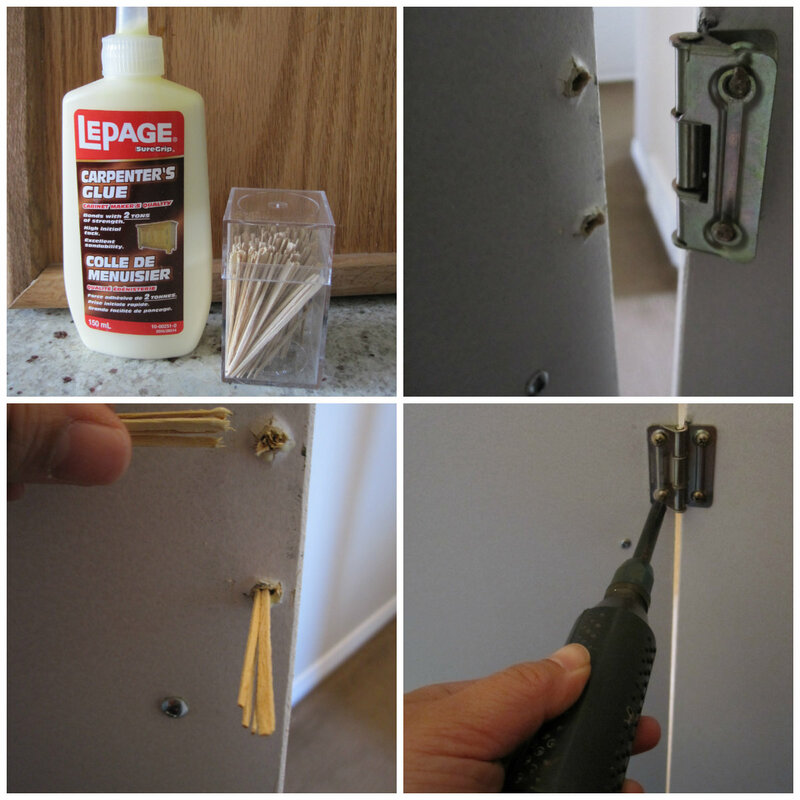 Pat yourself on the back.How to fix lose screws cause by stripped wood holes.